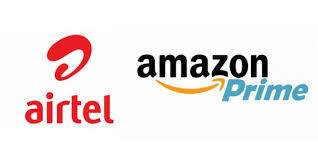 Airtel is offering a one-year Amazon Prime subscription for free on it's postpaid and V-Fiber broadband customers downloading Airtel TV app. Earlier this promotion was only available to some users, but now it has been applied to all eligible customers. Due to this promotional offer, the user will not only be able to watch movies and TV shows on any other platform, but it will help the company to challenge Geo (movie and live TV app). Before that, one of the country's largest telecom operators, Airtel had released Airtel TV app for its subscriber till June 2018. This offer is for postpaid customers of Airtel who have a MyFiniti Plan of Rs 499 or more. The V-Fiber broadband user, who has taken 1,000 rupees or more, will also get the benefit of this offer. It is not clear now how long this promotion will last. 1. To get this offer, customers will need to download the Airtel TV app from the App Store or Play Store. And after that, it has to be registered with your registered mobile number. 2. Once logged in, scroll down and you will see an Amazon Prime banner. 3. Tap on the banner and then a dialog box will appear which has information about the Prime Service. Tap to activate. 4. Now you will need to enter your Amazon account username and password. 5. Once your username and password are verified, your 365-day Amazon Prime subscription will begin. You will also receive this information by SMS and email. This offer is only for those Amazon users who do not have a prime subscription. If you are already a subscriber, you will have to wait for the end of the existing Prime Subscription to get this offer. Similarly, Amazon customers who have free trial can take the offer, but then they will be subscribed according to Airtel rules. According to an SMS sent by Airtel, the free prime subscription will be available till the customer keeps the current plan running or upgrades to a higher priced plan if they switch to a lower cost plan, then the subscription will end. After one year of free subscription, customers will have to pay 999 rupees.